This book sold about 1500 copies in the first month or so after its publication. Then the news broke that the author was actually J.K. Rowling. Within hours the book soared to #1 on Amazon. I was among those who immediately downloaded and devoured it. 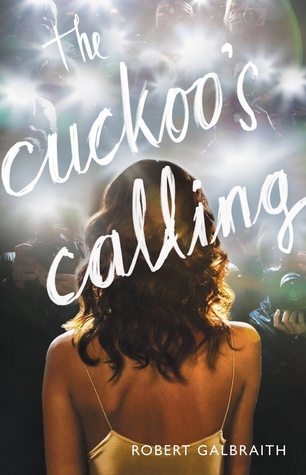 The Cuckoo’s Calling is the first of what will become a series starring Cormoran Strike, a down-on-his-luck, not-quite-whole private detective. Strike is a fabulous character – flawed, smart, ironic, insecure, and never less than sympathetic Lula Landry is a supermodel, stalked by the paparazzi, surrounded by sycophants and opportunists from every walk of life, and haunted by a largely unknown and sordid past. The book does not stray far from the traditional mystery template – dead body, dozens of likely suspects, second dead body, and resolution. What sets The Cuckoo’s Calling apart is Rowling’s gorgeous prose, intricate characters, and flawless sense of timing. Rowling reveals each character through brilliant dialogue, and almost every one is quite capable of murder. The Attentive Reader Will Note: it is clear early on that Cormoran Strike’s diminished physicality is fundamental to how he moves through the world, both physically and emotionally. In fact, all of the characters are damaged in a variety of ways – including the setting of a beautiful building – at the center of the tale.